Whilst the Hall may only be open to the public for 28 days each year, the Estate is still a busy place during the other 337 days of the year. The latest Project is the restoration of the Park Pale - a rare Mediaeval survival and gem of the Estate. The first Deer Parks were created in the C12th. These tended to be on the forest margins and differed in that they were enclosed, sometimes by a wall alone but more usually by a massive earthwork, the park pale. As deer can jump up to six metres horizontally and three metres vertically this had to be a formidable barrier. 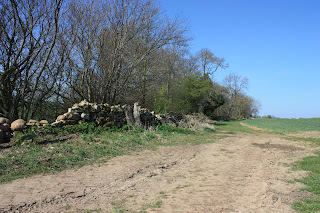 The usual form was of a large bank, three to four metres high topped by a strong wooden fence or wall. On the inside, to deny the deer the footing to take off, would be a steep sided ditch of similar dimensions to the bank. Although many of these earthworks have been lost to the plough enough survive around the country, albeit in a degraded state, to reveal how widespread a feature deer parks became. Indeed by the start of the fourteenth century there were something like 3,200 deer parks in England occupying around 260,000 hectares (650,000 acres) which represented something like 2% of the countryside. The Park Pale at the Hall originally extended for 1¾ miles around the Hall and an amazing 1½ miles still survives in one continuous length. 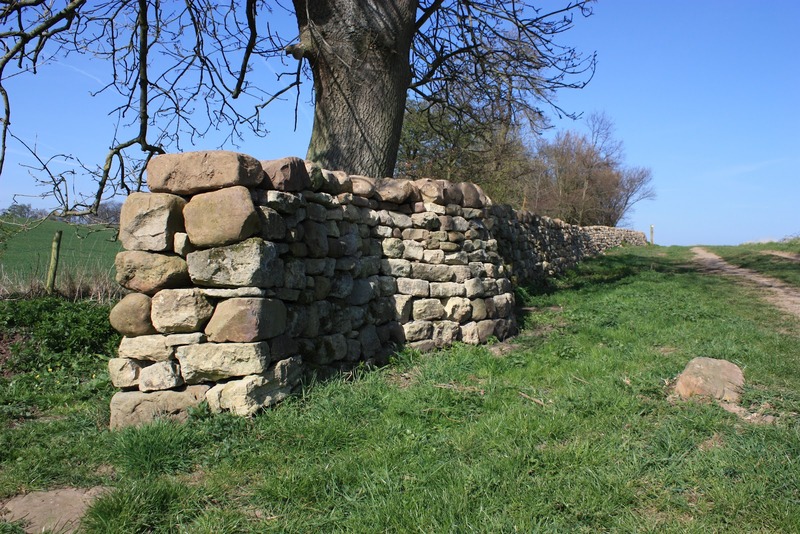 It was the boundary wall of the original deer park, enclosing 128 acres with Markenfield Hall at its centre. It takes the form of a stone wall, and some of the original banking can still be seen either side – high outside and low inside so that the deer could leap in but not jump out. Despite being in a semi-ruinous condition over much of its length it is Scheduled as an Ancient Monument and as such any re-building works are subject to restrictions under the Ancient Monuments and Archaeological Areas Act of 1979. 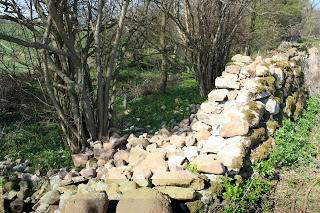 In early spring 2011 the weeds and self-sown saplings were cleared from around the wall by Junior Soldiers from the Army Foundation College in Harrogate. 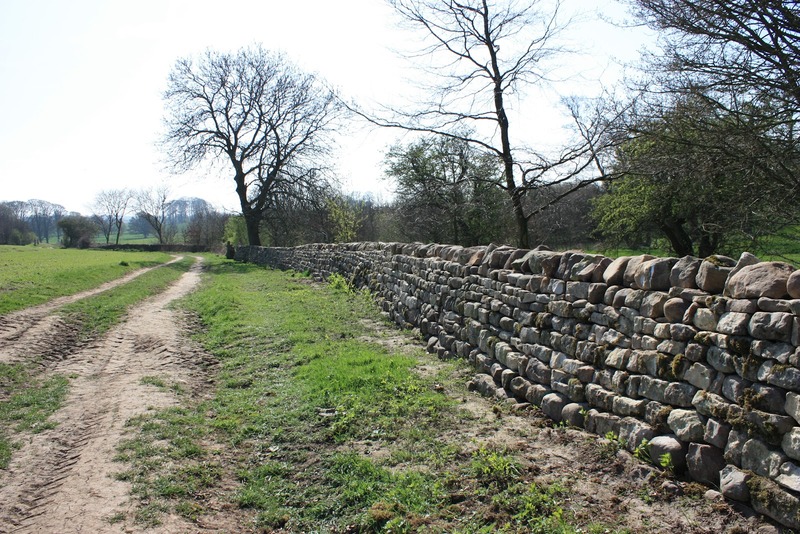 The wall in its existing state was then thoroughly surveyed by Dr Keith Jones using ranging poles and photographs to record precise details of the position of the stones and key features to be retained. All of this was done in accordance with strict English Heritage regulations and the work carried their blessing. Then in the autumn of 2011 the Volunteers from the Nidderdale Area of Outstanding Natural Beauty Walling Team arrived to begin work. Under the supervision of Chris Grundy and Emma Walker-Palin the slow and methodical task of restoration and repair of the first section began. 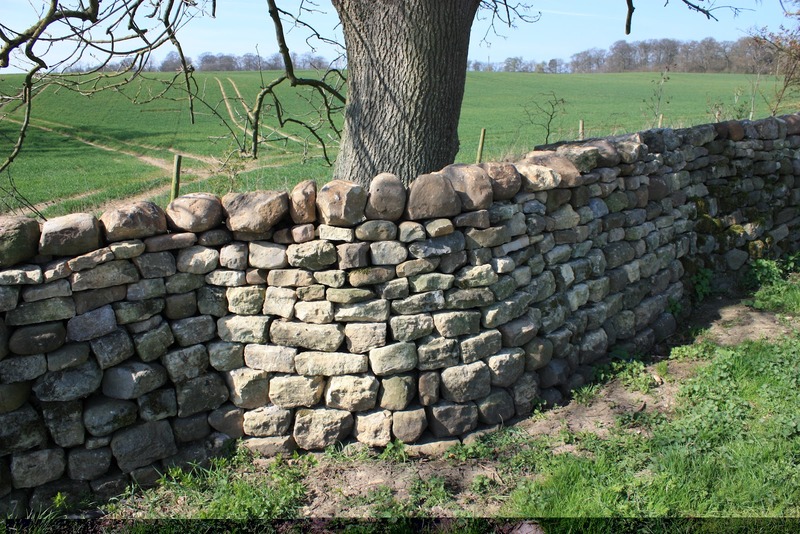 It is only the bottom two courses of stone that are subject to the Scheduling and anything above that level was removed and rebuilt to produce the stunning piece of craftsmanship that can be seen today. The cap stones were transported from elsewhere on the Estate initially with the help of Bryon Jehu (the Hall’s Handyman) and Hugh Farren (Farm Manager), but we did later discover that the Wallers have the most dedicated team of Volunteers ever, when it was discovered that they were actually carrying the cobbles by hand the full length of the Old Mediaeval Road!